“The story of Christianity as a worldwide faith is being written before our eyes,” declared Dana Robert of Boston University’s School of Theology as she addressed a group of world church leaders at the Global Christian Forum (GCF) here on the fundamental realignment of Christian faith around the globe. “Christianity has undergone one of the greatest demographic and cultural shifts in its 2000 year history,” Robert said. The gathering has brought together leaders from all major church traditions, all theological perspectives and major world communions including the World Communion of Reformed Churches, the Anglican Communion, the World Council of Churches, the World Evangelical Alliance, the Pentecostal World Fellowship and representatives of the Vatican’s Pontifical Council for promotion of Christian Unity. In a statistical analysis of the changing demographics and practices of global Christianity, Peter Crossing of the Center for the Study of Global Christianity, told the GCF that a century ago 66 percent of the world’s Christians lived in Europe, but today it accounts for only 26 percent of the world’s Christian population. He said the “Global North (defined as Europe and North America) contained over 80 percent of all Christians in 1910 falling to under 40 percent by 2010.” In 1910 less than 2 percent of all Christians lived in Africa but by 2010 this had skyrocketed to 20 percent of world Christianity by 2010. A century ago the statistical “center of gravity” for Christianity was near Madrid, but “in 2010 the statistical center had shifted to somewhere just south of Timbuktu in Mali. 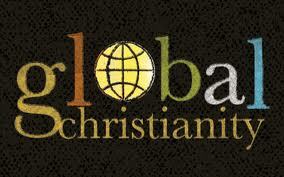 This 100-year shift is the most dramatic in Christian history,” Crossing said. One thing has not changed: where the financial resources reside. “Finances are still firmly in the (global) North. Sixty percent of Christians live in the South, but they have only 17 percent of Christian income,” Crossing said. He also noted that a century ago Christianity was largely a Western phenomenon, “including strong European Roman Catholic presence in Latin America, where few church leaders were Latin Americans.” Today the new expressions of Global Christianity are coming from Africa and Asia. Crossing said the change was most dramatically illustrated by in the “mother-tongues” used in worship and the number of denominations: today Mandarin Chinese is the fifth most prevalent language used by Christians to worship God ― 100 years ago China hardly registered. The top four languages spoken by Christians today are Spanish, Portuguese, English and French. Globally, there are some 41,000 Christian denominations, reflecting “the fragmentation” of the global church, Crossing said. Within these profound changes, Crossing said, there have also been major developments in existing churches: revivalism, indigenous churches and renewal churches had flourished in every continent but, again, especially in the South. Looking at comparative numbers Kim said Christianity was still the world’s largest faith grouping with 32.9 percent of the global population followed by Islam at 22.9 percent. “Muslims are increasing faster than Christians, not so much from conversions, but due rather to their higher birth rate (1.9 percent, Christians 1.2 percent),” he said. Although the Global North has declined in numbers overall, evangelical, Pentecostal and charismatic communities continue to grow there, as well as in Africa, Latin America and Asia, Kim said. He noted one of the most “astonishing success stories” has been the work of evangelical missions post-World War II and the subsequent growth of indigenous evangelical movements globally. “Evangelicals numbered 82 million (2.9 percent) in 1960 and they have reached 546 million in 2010 (7.9 percent),” he said. Robert said these changes raise critical questions for all churches. “Contemporary Christians are focusing on mission for multiple purposes,” she said, “both to recover tradition and to recover from tradition. Robert opined that “today’s urgent need for Christian unity does not look like the 1950s and 1960s, when self-satisfied Protestant leaders pushed for organic unity at the expense of diversity of witness. The growth that characterizes world Christianity today means that unity will be taken seriously only where mission is taken seriously,” she said. That mission however is varied. Kim noted that “re-evangelization” is the prime task of many churches such as in the Russian Orthodox, which was “concentrating more on evangelization of the 80 percent nominal Orthodox Christians” rather than concerns of proselytism of the 1990s.